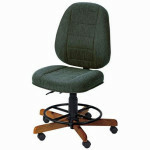 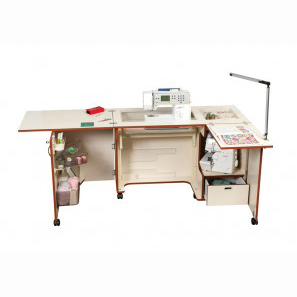 This Koala Sew Comfort chair offers comfort, durability, and adjust-ability. 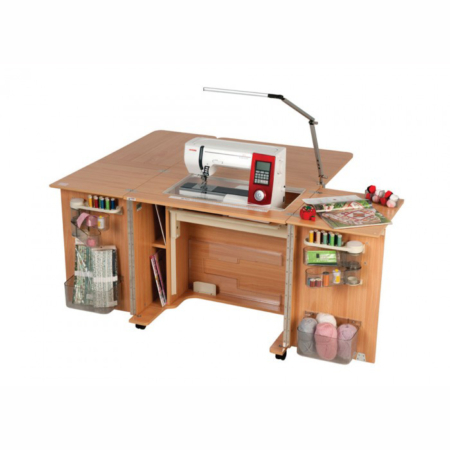 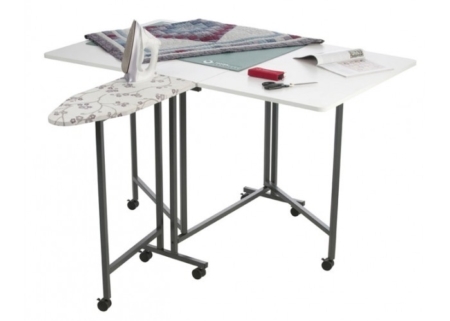 The generously padded seat, adjustable lower lumbar, and extra high back cushions will provide support for hours of sewing and the commercial grade upholstered cushions and back will stand up to great lengths of wear and tear. 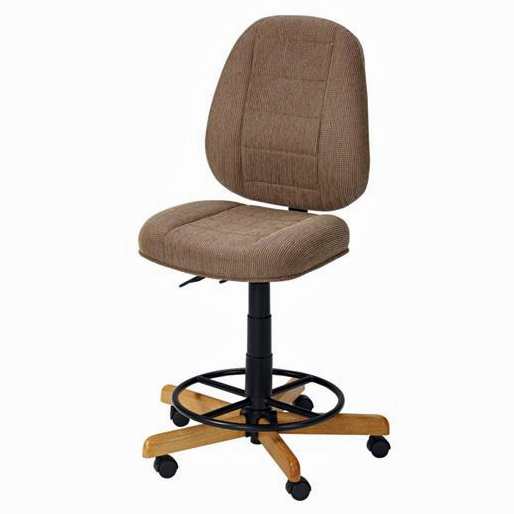 The base offers one touch adjustment and six-way adjust-ability making it easy for the chair to adjust to the correct height for any desk.